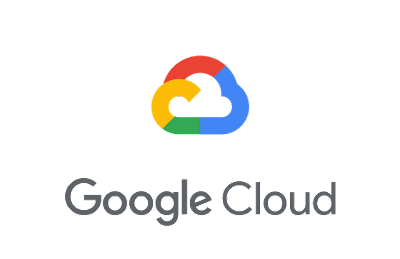 Using Google Cloud services and products will make corporate and business management easier than ever as you do not have to monitor everything from the infrastructure to servers and network configuration because GCP does it for you. Google Cloud provides Virtual private servers which perform as a remote computer and is flexibly configured and customized to feed customers’ needs. For example, if you want a configuration of 4GB RAM or 100GB RAM; or you need a storage up to tens of TB, Google Cloud has it at your service. Therefore, your service will be managed and well performed under the use of Google Cloud products and services. Google Cloud is well-knowned for its high security, excellent performance, its globalization (it is worldwide), cost effeciency. More importantly, Google, the creator of Google Cloud keeps innovating and enhancing the platform to maintain the best ranking in producs and services in Cloud hosting and storage for the long haul. Google Cloud platform is maintained by top experts in informatin, application and network security to assure its utmost security and defense. Google Cloud has its fame in the realiablity of gigantic storage and strong configuration. It is more notably guanranteed to use Google Cloud for hosting websites, applications and storing data. The scalability is another beauty of Google Cloud. Due to the fact that it’s Cloud computing based, Google Cloud can be elastically adjusted in terms of scales. Google Cloud Platform provides high and fast performance to make sure your application and website run seamlessly. Google cloud possess powerful Data and analytics. It is integrated by multiple launcher so when a customer needs a certain application or services, just a click and there will be list of products or services available to choose. There are thousands of Google’s backbone network to innovate the data center capacity. It uses advanced networking and up-to-the-minute caching services to distribute consistent and scalable performance to users. One thing that can be seen obviously is the fact that Google Cloud has tons of products and services, maybe each is integrated into one another or others, which sometimes bewilders users. Only with the beginners in hosting services or data storage, it will be a bit difficult to start. However, it will not be a big deal for users of hosting services. *Big Data: including BigQuery, Cloud Dataflow, Cloud Dataproc, Cloud Pub/Sub, Cloud Datalab, Cloud Dataprep, Genomics and Google Data Studio. *Security: such as, Cloud Idenity-Aware Proxy, Cloud Key Management Service,Cloud IAM, Cloud Data Loss Prevention API, Security Key Enforcement, Cloud Resource Manager, Cloud Security Scanner, Cloud IoT Core. *Cloud AI: including Cloud AutoML, Cloud TPU, Cloud Machine Learning Engine, Translation API, Prediction API, Speech API, Vision API, Video Intelligence and so on. Google continues to add higher-level services, such as those involving Big Data. Google’s Big data services include data processing and analytics such as Google BigQuery, for similar SQL queries performed on multi-terabyte database. In addition, Google Cloud Dataflow is a data processing service for analyizing, extracting, transferring and loading (ETL); and projecting in real time. The platform also includes Google Cloud Dataproc that provides Apache Spark and Hadoop services for Big data processing. In terms of intelligence (AI), Google provides a Cloud Machine Learning Engine, a managed service that allows users to build and train machine learning models. Various APIs are also available for translating and analyzing speech, text, images and video such as Prediction API, Speech API, Vision API and Video Intelligence. Google Cloud IoT Core is one of the examples for Google IoT services. It is a series of managed services that allow users to use and manage data from IoT devices. Google Cloud Platform is constantly evolving; and Google regularly introduces, changes, or discontinues service offerings based on user needs or competitive pressure. Google's main competitors in the public cloud market include Amazon Web Services (AWS) and Microsoft Azure. Google provides training programs and certifications for whoever wants to have it. These programs are related to Google Cloud Platform. Learners can pursue programs for cloud infrastructure, data and machine learning, G Suite application development and administration, as well as an introduction program for its cloud platform. There are three Google Cloud certifications that IT professionals can earn which are Certified Professional Cloud Architect, a Certified Professional Data Engineer and Certified Professional G Suite Administrator. Google Cloud offers a variety of excellent products and services which will be very useful for users and highly recommended.